Spotify revealed its most-streamed songs of the summer on Monday. Moral of the story: It’s Drake’s world, and we’re all just living in it. 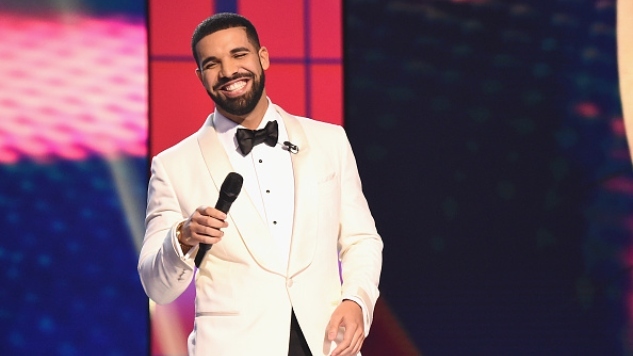 As you probably could have guessed (though the ranking makes it official), Drake’s “In My Feelings” topped the list both globally and in the U.S., with over 393 million streams between June 1 and Aug. 20. The viral craze-spawning song bested the second-place finisher by approximately 100 million. “Feelings” wasn’t the only track off of Drake’s insanely popular new album, Scorpion, to make the chart. The Canadian vocalist was everywhere this summer, showing up four more times on Spotify’s top global songs of the summer list: God’s Plan” (No. 11), “Nice for What” (No. 12), “Don’t Matter To Me” (No. 18) and “Nonstop” (No. 20). He did even better in the United States, totaling eight entries on the top 20 chart. Across the globe, the No. 2 and 3 songs both featured the ever-daring Cardi B: Maroon 5’s “Girls Like You” had approximately 293 million streams, while the rapper’s own “I Like It” (featuring J Balvin and Bad Bunny) came in right below it on the chart, with over 289 million streams. Meanwhile, in the U.S., SoundCloud rap claimed top spots, with Juice WRLD’s “Lucid Dreams” and the late XXXTentacion’s “Sad!” coming in at No. 2 and 3, respectively, and No. 4 and 5 globally. Both artists have had impressive summers: Spotify’s head of urban music Carl Chery called Juice WRLD the “breakout star of the summer” in a statement, and XXXTentacion had copious hit songs (second only to Drake) following his recent death in June. Read through the full list below (as written up by Variety) and stream it via Spotify here.